The day of four popes: Top of the world, ma! VATICAN CITY (April 27, 2014) — One of the most challenging aspects of being part of an historic event is that the full impact of the moment can’t be fully appreciated until it’s had time to percolate. 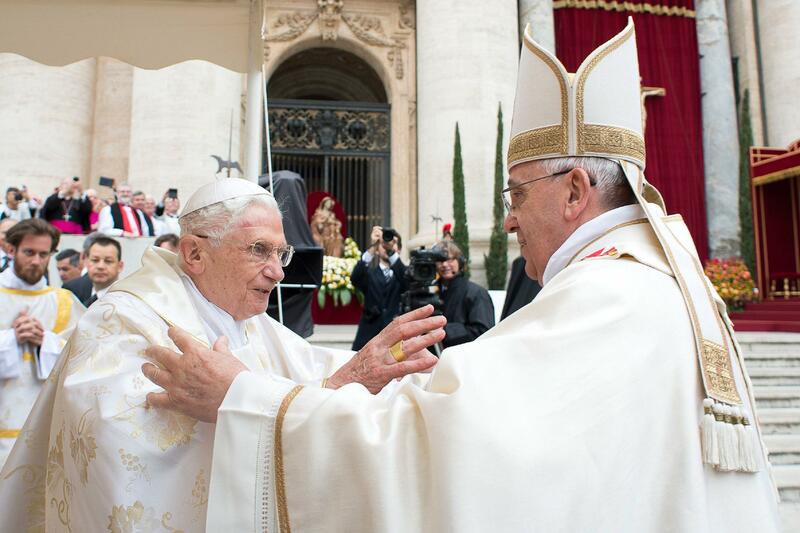 The day of four popes — new newly canonized and two at the altar for the canonization Mass — was just that. Divine Providence, however, was at work for me and the other 1 million or more pilgrims in Rome today for the canonization of Pope John Paul II and Pope John XXIII. While I had media credentials for the canonization Mass — the third time for me for a papal event at the Vatican — I didn’t receive credentials to be atop the colonnade of St. Peter’s Basilica as I had the previous two times. 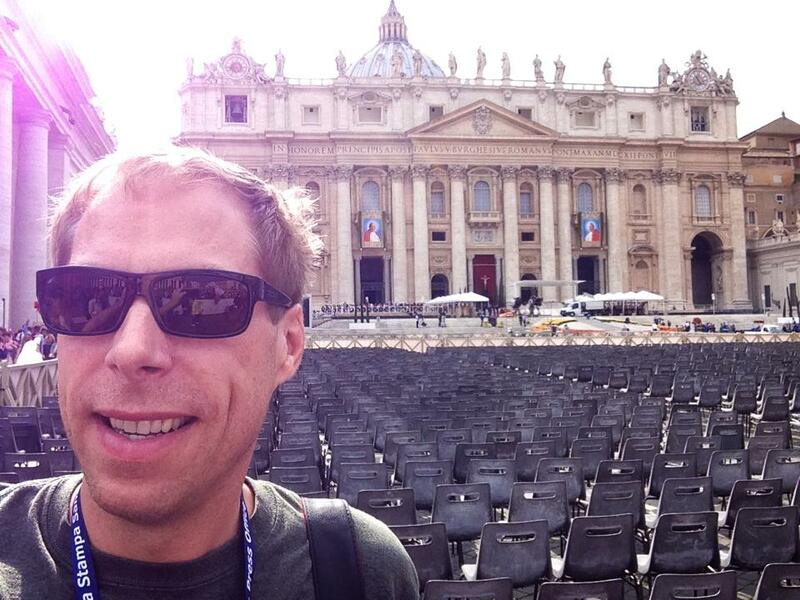 I was to be relegated to the general media section during the canonization Mass. Officials told us that the media would have special seating in the square (somewhere), so some of my colleagues opted to camp out overnight near the media office at the entrance of the Paul VI Hall. Accredited media were to be let into the square, which had been emptied for cleaning and security sweeps, at 4:30 am. I had a late evening, but I caught a few hours’ sleep, got up at 1:30 am and set out at 2 am to find my media friends. I’m staying right on the edge of the secured area which has been cordoned off from vehicular and pedestrian traffic, which is on the opposite side of the square from the media center. I’d been told that no one could pass through this restricted area around St.Peter’s Square. My plan was to make my way through a million people in 2 hours so I could join my friends. I bought a couple bananas for breakfast from the shop downstairs, and then exited directly into the restricted area. It was spookily deserted while the other areas around the Vatican swelled with crowds waving banners and singing all through the night. As I walked the deserted three blocks to the Vatican, I only saw paramedics and a few other workers. When I got to the edge of Vatican City near St. Peter’s Square at about 2 am, I flashed my media creds and they let me through. I was standing right in front of the square where Rome meets Vatican City. My two-hour journey lasted four minutes. Instead of walking around a million people, I walked three deserted blocks. God is good. I spent the next two hours chatting with Peter, a 22-year-old Polish student who was a dead-ringer for a young Karol Wojtyła (John Paul II). He was tending to a wheelchair-bound man named Martin. By 5:30 am, I was in St. Peter’s Square. But security were incredibly clueless about where to have the media sit. We didn’t have chairs. We didn’t have a special section. 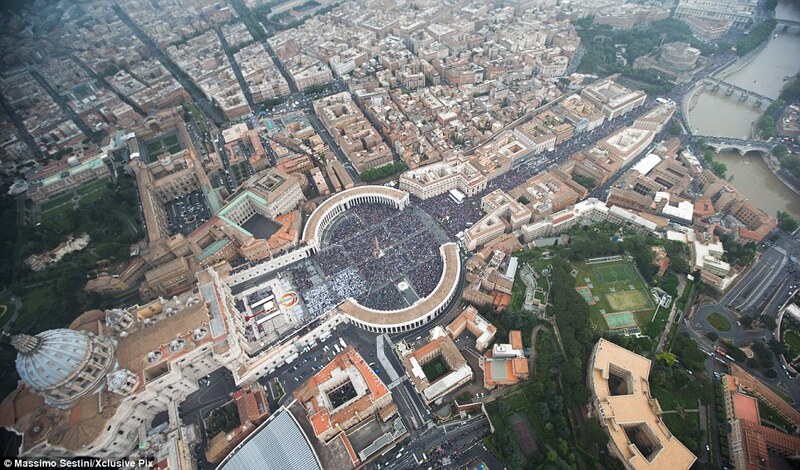 But we were in the square for a truly historic day in the history of the Catholic Church. I connected with my friends — Dario Mobini from Seattle, Alton Pelowski who edits Columbia magazine for the Knights of Columbus, and Jason and Crystalina Evert of ChastityProject.com. Then the good news came. Dario, who was born in Rome and raised in the States, had wrangled four spots atop the colonnade that surround the square. The head of security for the event walked us up the narrow stairway himself. After all of the turmoil of botched accreditation and badly managed media relations on the part of organizers, this was a minor miracle! While I waited, I prayed for each person who had requested prayers from me. I also read the requirements for the Divine Mercy plenary indulgence. Despite the hiccups, it was a thrill to see Pope Francis and Pope Emeritus Benedict from my perch. It was a thrill (despite my lack of sleep) to be part of a Catholic first — two popes canonized at the same time, and with two living popes present no less! 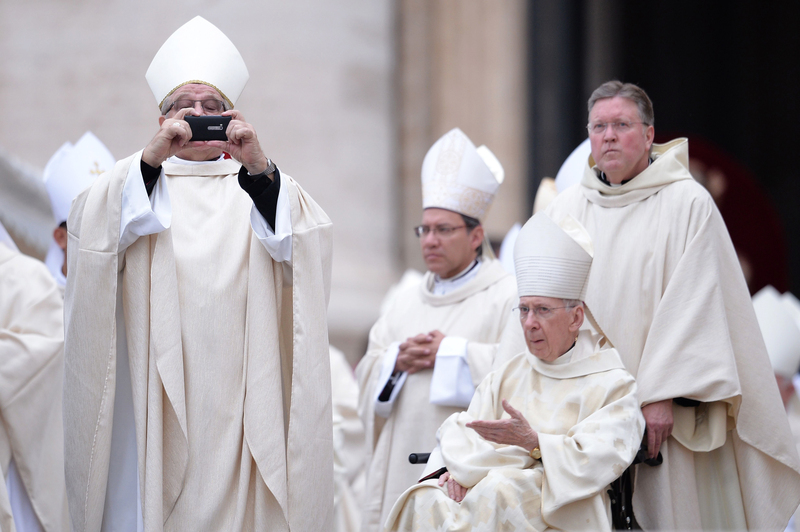 And it was delightful to see the great number of bishops and cardinals taking cell phone pictures of the crowd and selfies, too. The significance of the event was not lost of Pope Francis. In his homily, he praised the new saints as men of courage and mercy, who responded to challenges of their time by modernizing the Catholic Church in fidelity to its ancient traditions. When the hundreds of Eucharistic ministers began fanning out through the square, I grabbed my things to make my way down. But just as I was about to go down the stairs, Jesus came to me! Two Eucharistic ministers showed up to bring Communion to the media. Well played, Lord! We need you. Divine Mercy Sunday is the Octave of Easter. That simply means that the celebration of Easter Sunday is eight days long. Being in St. Peter’s Square today was a fitting way to wrap up the greatest feast of the year! APRIL 18, 2014 — Patrick Novecosky, the editor of this blog, was a guest today on Review Preview, which aired on Baltimore’s WCBM (Talk Radio 680 AM). 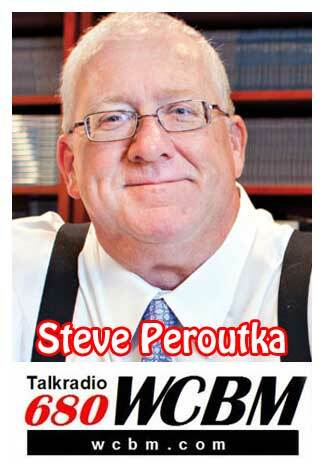 Novecosky and host Steve Peroutka discussed the upcoming canonizations of Popes John XXIII and John Paul II. 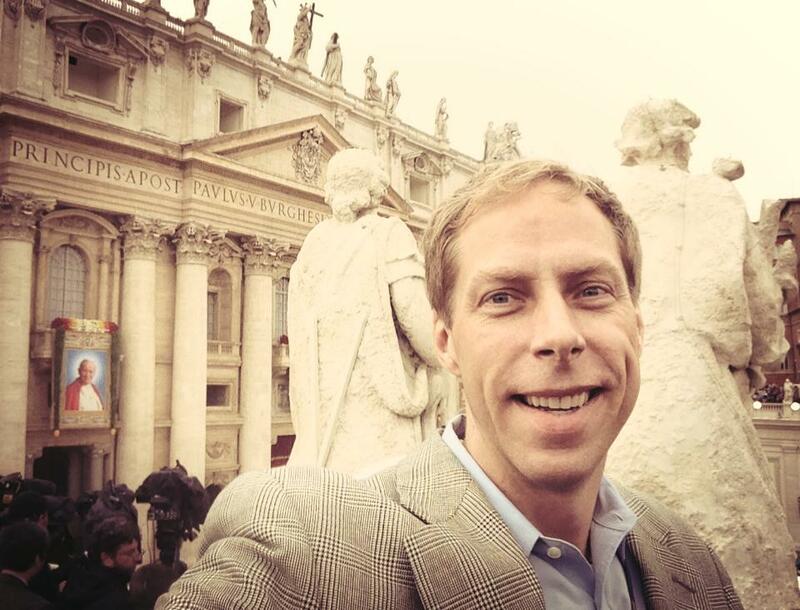 Novecosky will be one of the approximately 5,000 journalists from around the world attending the event in St. Peter’s Square on Mercy Sunday, April 27. 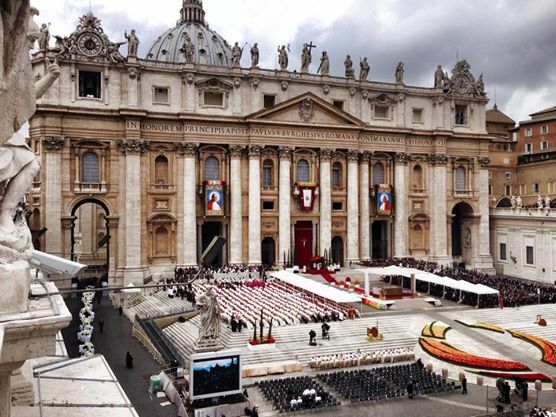 Rome is expecting 3 million pilgrims to attend the event. Novecosky and Peroutka talked about what it means to be a saint in the Catholic Church and the process of recognizing a saint. They delved into the the legacy of John XXIII and John Paul II’s extraordinary 26-year pontificate.